I have been honored to coach so many great teams. Currently, we are not directly sponsoring 4-H teams out of our barn due to our busy rodeo schedule. But we are a secondary source of help for several kids still involved in 4-H. 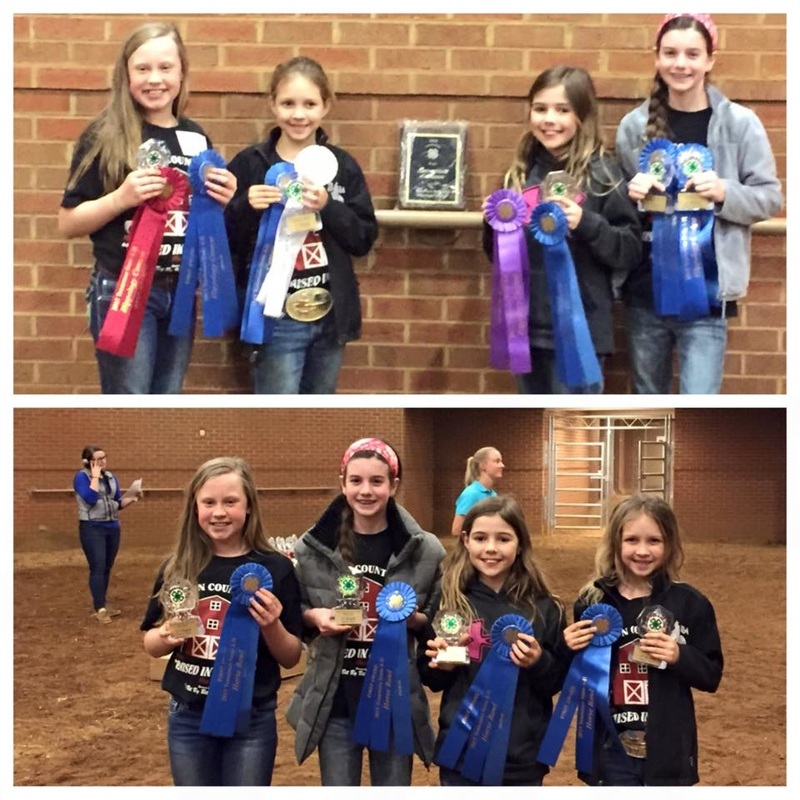 The regional 4-H horse show was very successful for our show team. These girls did awesome!!!! 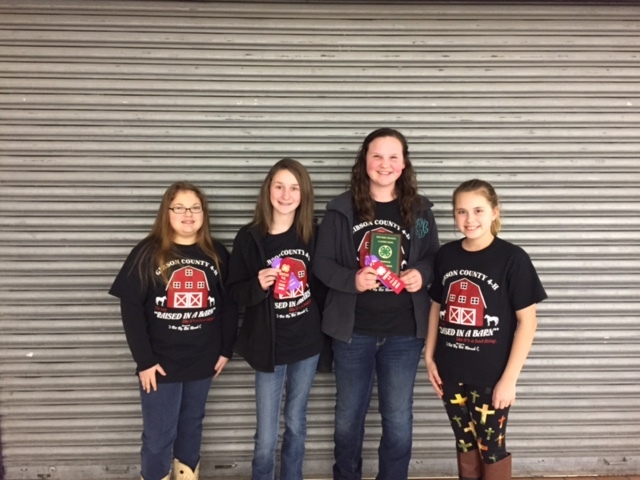 Taylor Perry, Allie Maxwell, Elena Warren, Mackenzie Johnson, Rylee Thomas, Katie Bedford and Katelynn Bibbee brought home awards in pretty much every event they entered!! So proud! 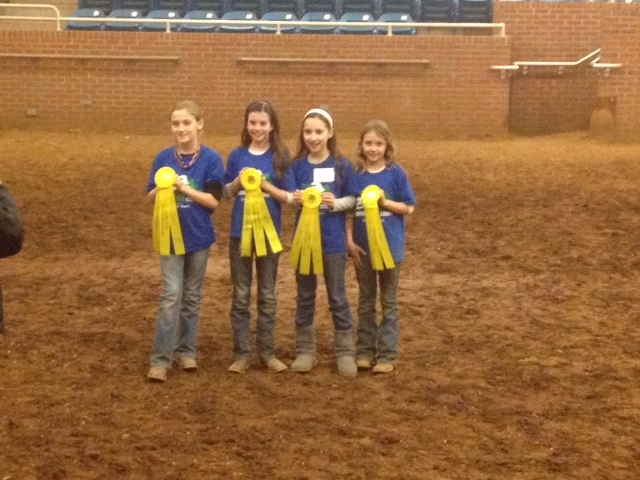 These girls won the state championship in both hippology and horse bowl. 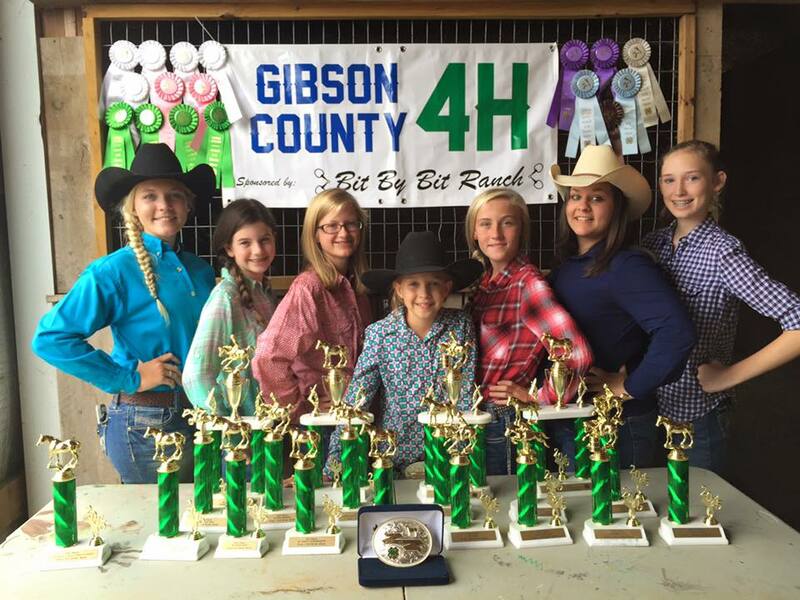 Emma Scarbrough, Kenzie Johnson, Ella Piercey and Allie Maxwell showed the entire state that Gibson County has got it going on!! 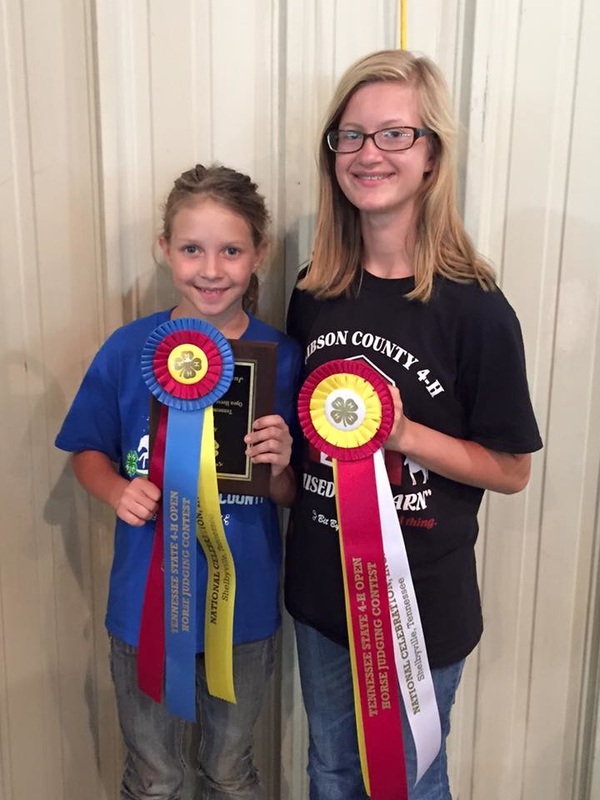 Kenzie Johnson and Elena Warren brought home awards from the state horse judging competition. 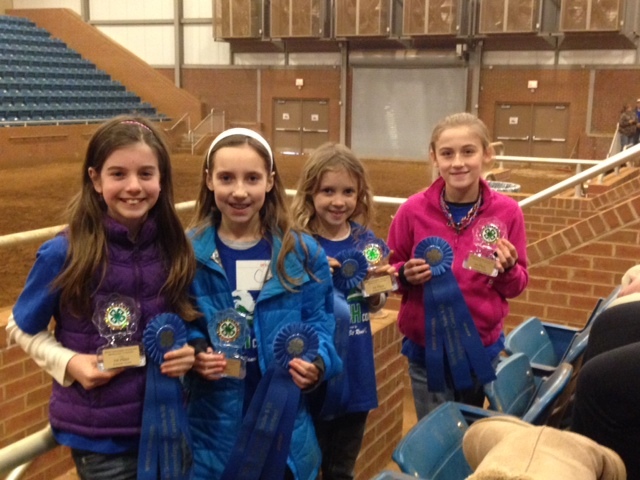 All of these girls brought home individual awards in the hippology competition. To place in the top 10 of the state is so impressive!! Great job, girls!!! We had an awesome group for the Regional contest! We had 35 kids making up 9 teams. I am super proud of every single one of these kids!!! 7 of the 9 teams are advancing to state!! 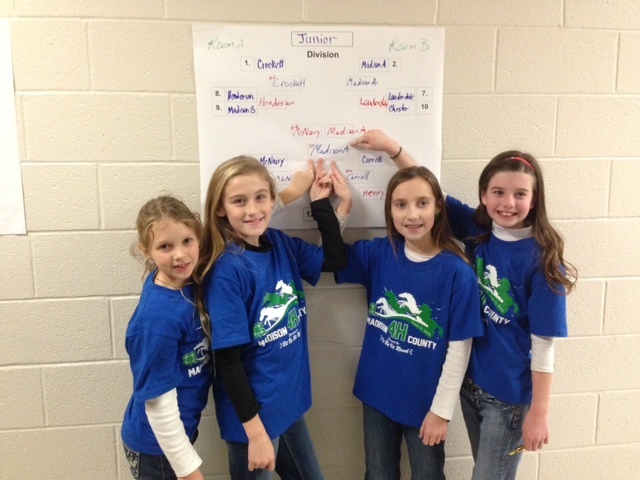 Emma Scarbrough, Mackenzie Johnson, Ella Peircey and Allie Maxwell were the champions in both Hippology and quiz bowl. Allie was also the individual jr champ. 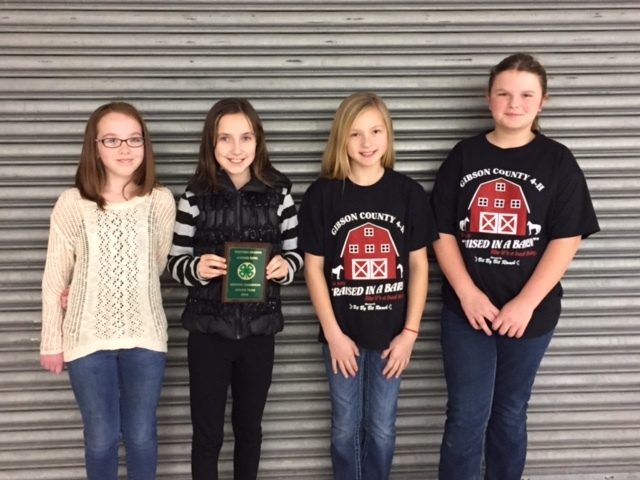 Sophie Vinson, Hannah Mallard, Havannah Wood and Lorin Chandler were reserve champions in quiz bowl and 3rd in hippology. 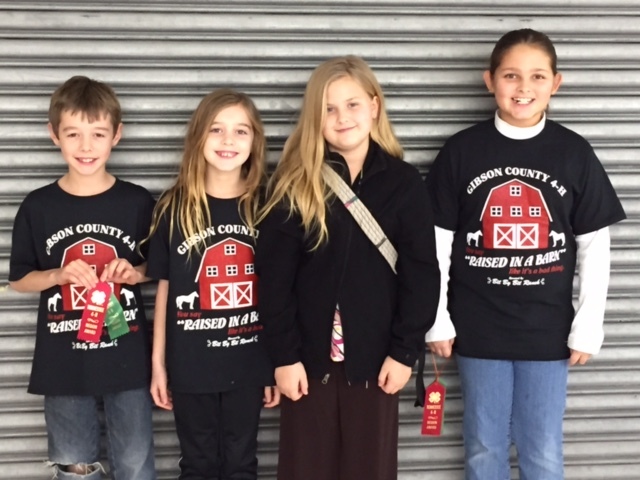 Zane Hargett, Elena Warren, Sarah Carlton, and Taylor Cates were 2nd in hippology. 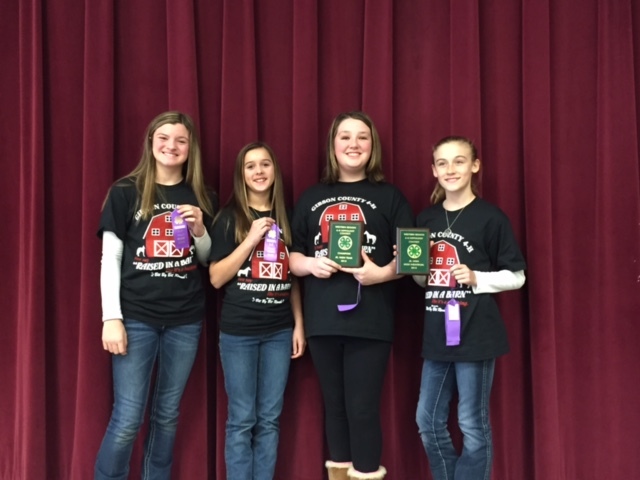 Caroline Crouse, Claire Peircey, Abby Wheeler and Rylee Thomas were the champion in hippology and 3rd in quiz bowl. Rylee was the individual jr high champ. 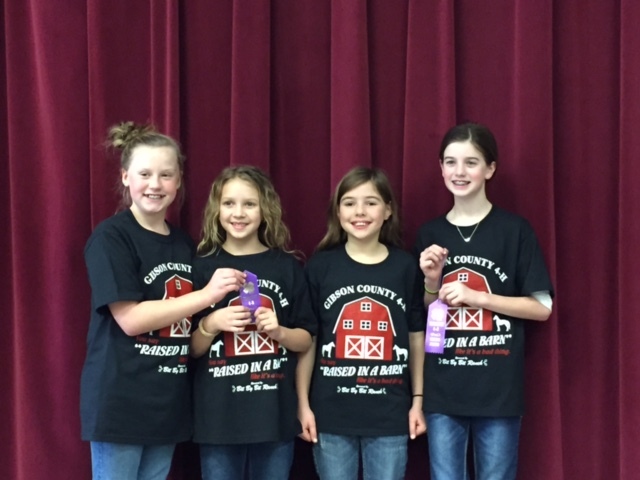 Trigger Carlton, Kynzie Thompson, Emma Claire Lawson and Gracie Cowan were champions in quiz bowl and 3rd in hippology. Katie Bedford, Jenna Booth, Kurt Chandler, and Taylor Perry were the Champion team in quiz bowl and reserve champions in hippology. Taylor was the highest scoring senior individual. Luk Piercey, Lauren Piercey, Peyton Johnson and LeeAnn Fincher were 3rd in quiz bowl. And we even had to compete against each other...but I am so proud of the sportsmanship and support that all of my 4-Hers showed for each other!! Way to go, guys! 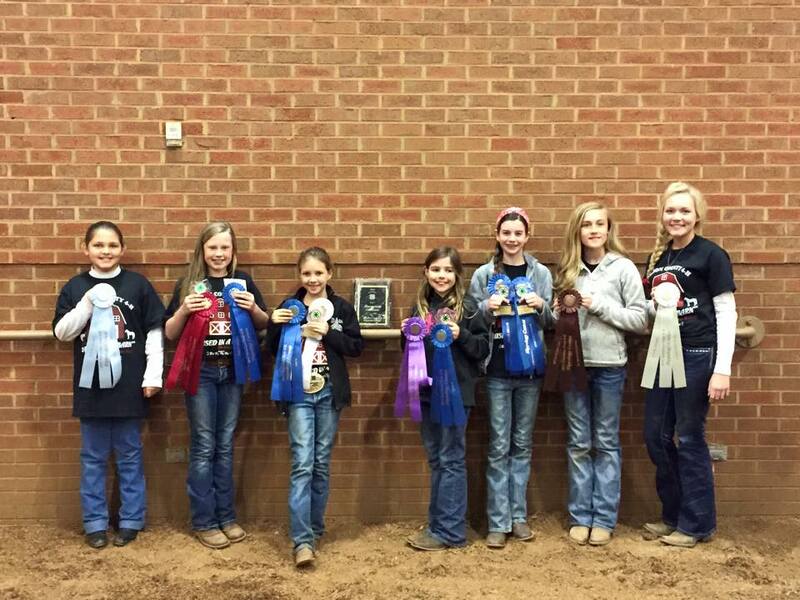 We had 11 members compete at the open judging competition at the State 4-H Horse Championships in June 2014. We are sp proud that we had several kids place in the top 5 of the state!!! 4-H State Judging. Proud of Caroline Crouse, Allie Maxwell and Kenzie Johnson for placing in a tough tough statewide competition! All of our kids did great! 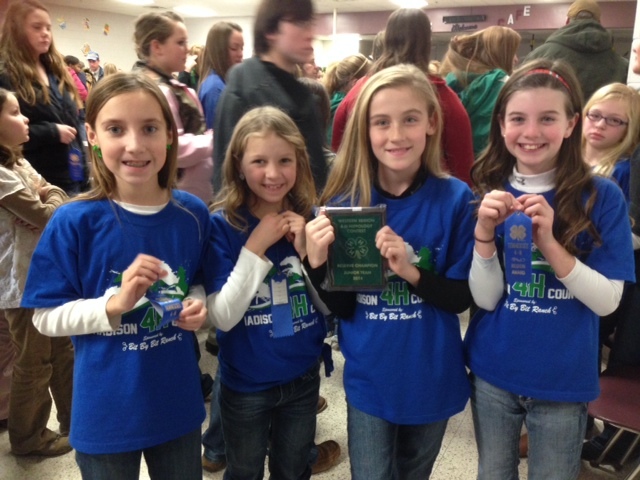 We are super proud of our 4-H teams. 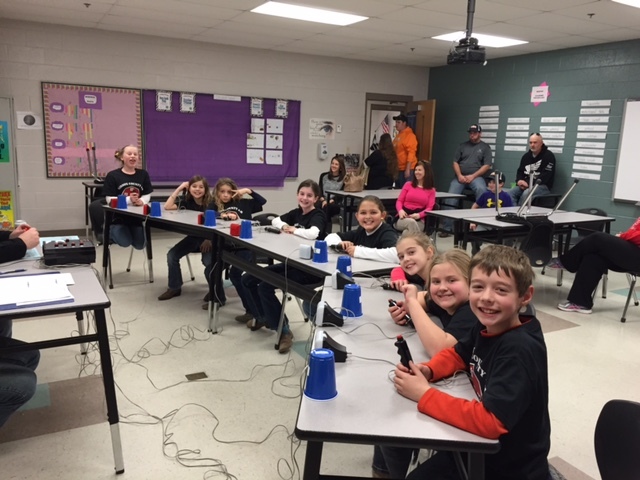 We were proud to sponsor 3 teams for hippology and quiz bowl in 2014. 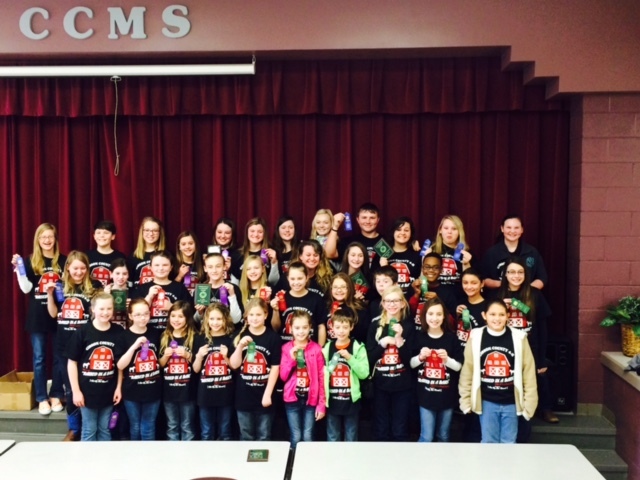 One of our Jr teams placed 1st in quiz bowl and 2nd in hippology. 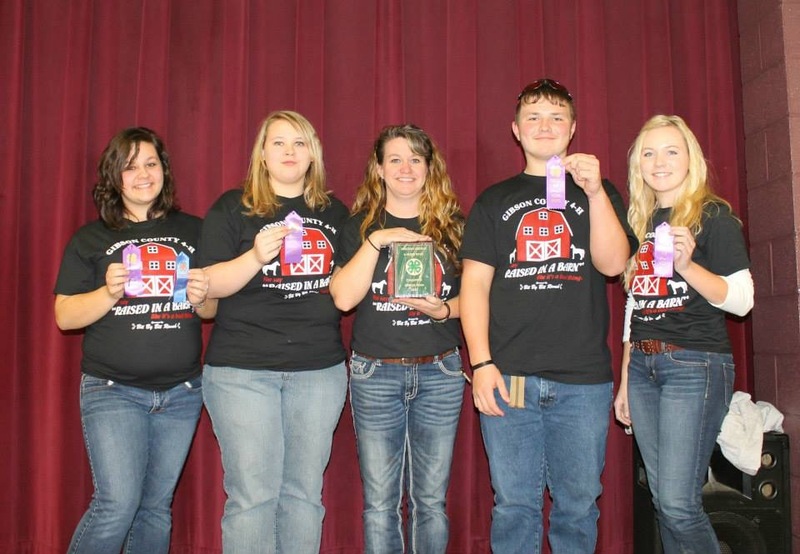 This team went on to state where they won the state championship in hippology and 3rd in quiz bowl. That is so awesome!!!! 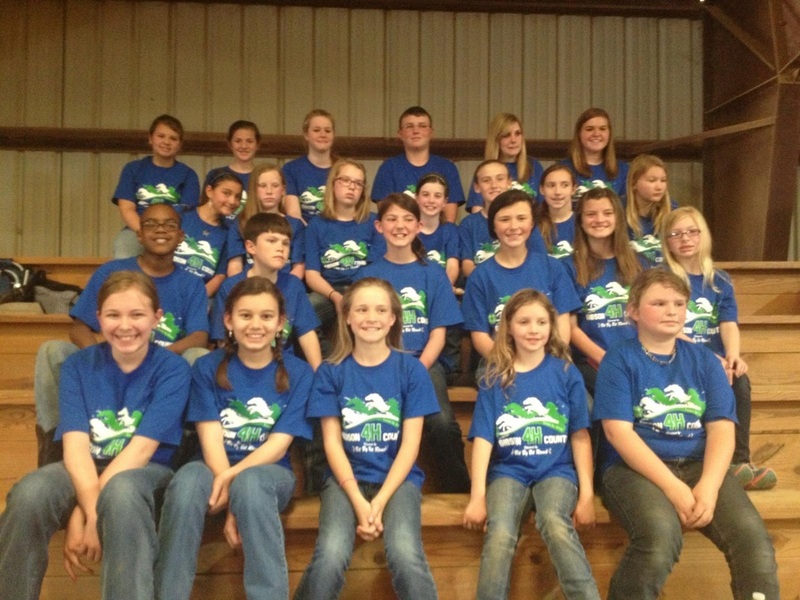 The gang at the regional 4H competition. Great job, guys!! We also had a FABULOUS judging competition!!! We were proud to have 5 jr teams and 2 jr high teams. 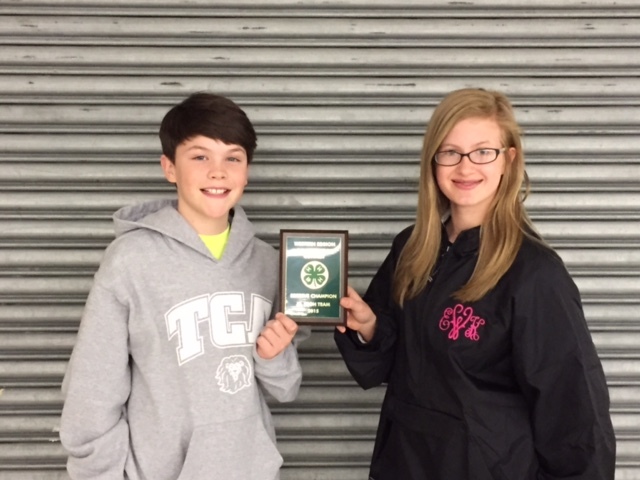 Our jr high teams finished 2nd & 8th with the 5th scoring individual. We are so proud of the hard work of all the competitors and look forward to more awards!! !